Kelly Hoppenjans is an accomplished vocalist, songwriter, and artist based in Nashville, Tennessee. Today, she tells us how your songwriting and your singing all work to affect your identity as an artist. Who are you as an artist? What is your brand? What is your message? What is your artistic voice? How sick are you of questions like these? 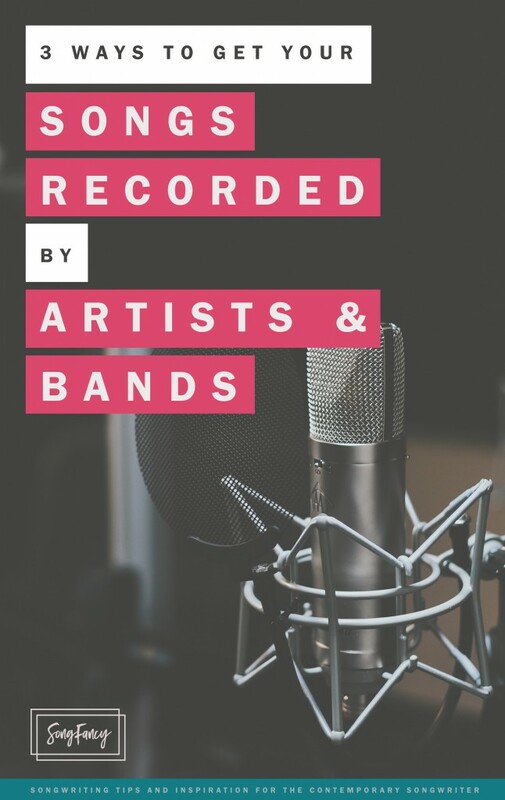 Being a performing singer/songwriter comes with so many questions about your artistic identity like the ones above, and they’re notoriously hard to answer – especially for young artists who may not even know who they are as people yet, as an artist. Part of what makes this so tricky is that as a singer/songwriter, you actually have two different voices you’re dealing with—your songwriting voice, which is made up of your style, unique perspective, vocabulary preferences, melodic and rhythmic tendencies, etc; and your singing voice, which is likely influenced mainly by the artists you like to listen to, the natural qualities of your voice, and the way you speak in everyday life. These two types of voices are distinct, but strongly related to each other. Although this seems to complicate the issue of “who you are” as an artist, knowing about these two voices can be very helpful, because you can use the relationship of these voices to craft a strong sense of your artistic identity. A deep understanding of you as a whole artist can even inspire your writing. 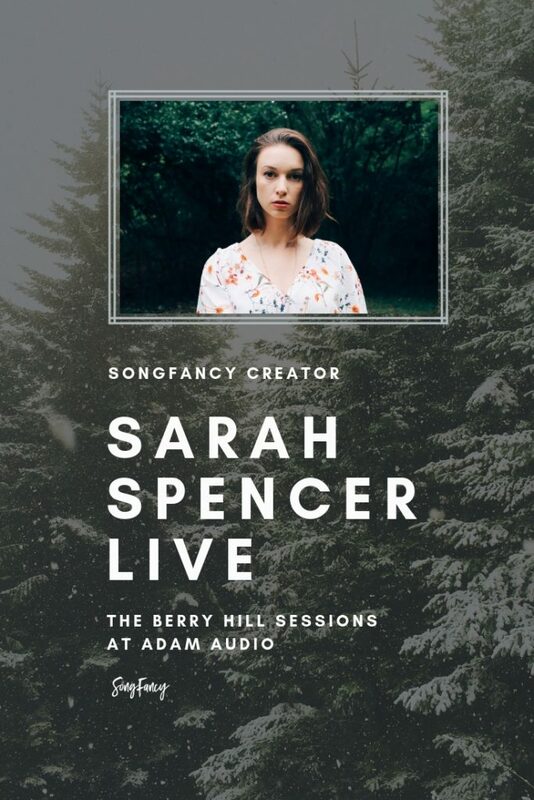 When you’re a singer-songwriter of any genre, there are about a million places you could draw inspiration from—your life, other people’s lives, history, works of art, what you had for breakfast… but there’s a well of ideas in the qualities of your singing voice that you may never have thought to explore. So I’d like to present you with some jumping-off points for exploring your singing and songwriting voices and the connection between them. The main thing I’d like for you to remember is that these are mostly reflective, self-discovery exercises—none of these ask you to criticize or judge the qualities of your singing or songwriting! There’s a time and a place for that, but it’s not here. Think of these exercises as the freewriting or brainstorming phase of your artistic identity process, and turn off the editor part of your brain for now. 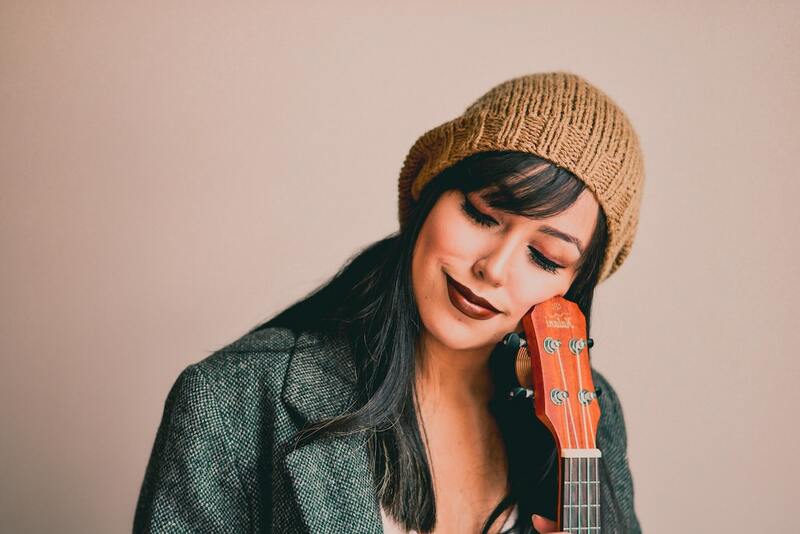 First things first—if you’re a person who considers yourself more of a songwriter than a singer, and is perhaps even uncomfortable with your singing voice, start calling yourself a singer right now. Get used to it, love it, it’s part of who you are! Plenty of artists who aren’t trained virtuoso singers, like Bob Dylan, Patti Smith, Leonard Cohen, or Lou Reed, all write well for their voices and use them with great success as part of their artistic identity. Range—do you have a voice that sits high or low? Is there a particular range you feel most comfortable in? Timbre—bright, dark, nasal, rich, breathy, raspy, clear, thin, brassy, the list goes on. Keep in mind with raspiness that we’re talking about a natural rasp that occurs throughout the voice and not rasp that you’re consciously adding as a special technique—I’ll address that a little later. Size—do you have a big, full voice, or a light, small voice? Is it powerful and belty, is it agile and fast-moving? Registers—do you like the sound of your chest voice? Head voice? Time feel—do you sing conversationally, with freer rhythms, or do you stick to a strict time? Do you tend to feel your grooves ahead of the beat, behind it, or right in the middle? Musical styles—are there any in particular you feel you are good at? Country, pop, rock, folk, r&b, or perhaps something less mainstream? Aspects of your performance—honest delivery, sassiness, power, etc. You can record yourself singing one of your favorite songs and listen back to it if you’re having trouble thinking of three things. You may find it helpful to draw from what other people have told you they like about your voice, but remember that your opinion is the most important one here. Also keep in mind that you’re brainstorming and try to frame these positively. When I ask my students to tell me their three things they like, many of them say things like, “I like my range BUT I want to expand it,” or “I like my raspy low voice EVEN THOUGH it’s kinda weird.” We want no but’s here! Once you have your three things you like, write them down in your journal, on your vision board, on your arm—keep them somewhere you can easily find them and be reminded of what’s special about your voice. Now use what you know and love about your voice to explore it even more! For vocal experimentation exercises, I recommend using a 5 note major scale ascending and descending (1 2 3 4 5 4 3 2 1) on a variety of vowels and consonants (mee, loh, wah, doo, yeah, may, and any combo of those vowels and consonants you want to try). If you like a particular area of your range, explore it in exercises on several different vowels. For example, if you like your dark, rich timbre, push it to the extremes and see how dark you can make it, and how light. Try it out on several different vowels and see which ones work with which timbral adjustments. If you like your free, conversational time feel, experiment with pushing phrases ahead of and behind the beat. If you like the agility of your voice, see how fast you can sing your exercises, and what adjustments you have to make to do this in different ranges of your voice. And on and on—the possibilities are endless! Take one (or all) of the three things you like about your voice and write a song or part of a song that suits that quality. If you need ideas, look to an artist who has similar qualities to yours and see what works for them. For example, I like that my voice is light and agile, and I like to use my head voice. I looked at Regina Spektor and noticed that she uses a lot of fast-moving melodies, especially bouncing back and forth between two or three notes all on one word. So I tried that out in a song! Prominently feature vowels that sound good in your voice. Remember the exploratory exercises on all those different vowels? You probably know by now which ones are your favorites. Think of some words that use those vowels, finding some that rhyme or slant rhyme in the process. I like to make columns of words that go together when doing this exercise. You may end up finding the hook to your song, or write some verse lines with quality assonance that also make your voice sound beautiful! This exercise can work for consonants too, if you decide you love the way you say your l’s or m’s, for instance, or for entire words that you pronounce in a unique or interesting way. Improvise, without lyrics, over a looped chord progression or drum beat. Many people write this way anyway, but it can be a great exercise for exploring the tendencies of your voice in songwriting. Try focusing on rhythm one time through, melody another time, phrase length another time, etc. If you write lyrics first, speak them to yourself. Speak them conversationally, with no rhythm attached. Notice where you rush ahead and where you lengthen words, and where your pitch tends to rise and fall. The way you say lyrics naturally is your most unique way of communicating them, and may inform your rhythm and phrasing when you put a melody to them. Consider the emotions implied by the sounds you make as a singer—what emotion does head voice evoke, or belting, or a vocal break, or rasp? Try to marry the emotions implied by your vocal choice with the emotions in your song, especially where range and melody are concerned. For example, if you want a certain part of your song to be fragile and vulnerable, consider writing it in a range where you’d use your head voice. If you want to express raw, dangerous passion, try writing in a range where it’s easy for you to make powerful sounds, or use rasp or vocal fry, or write a melody that incorporates vocal breaks (think Alanis Morissette’s “You Oughta Know”). Think of words that describe your performance style. Are your performances honest, sassy, sweet, emotional, etc.? Do those words also describe your personality? Can you write in a way that highlights those qualities in your voice and your songwriting simultaneously? Your two voices reflect who you are – own it, babe! 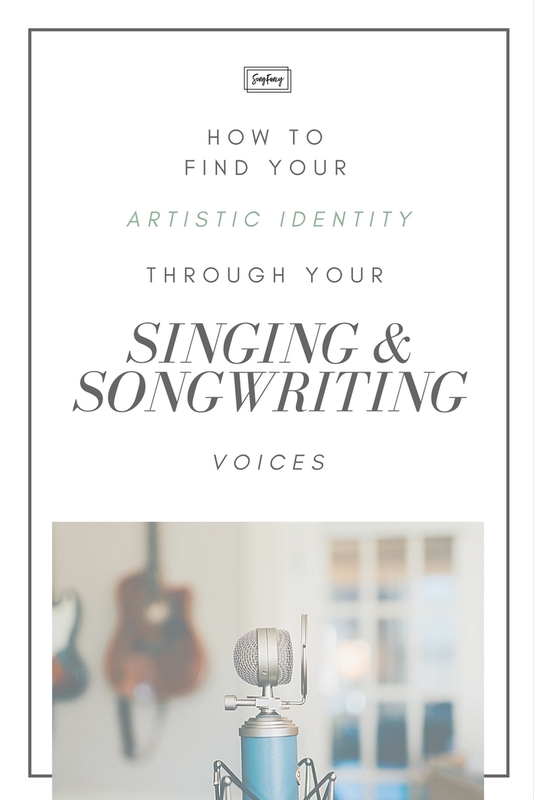 I hope these exercises inspire you to explore and exploit the connections between your singing and songwriting voices as you continue to discover your artistic identity. The more you allow these two voices to influence each other, the more cohesive your work will be, and “who you are” will shine through to the people listening to your songs. And remember, the most important thing is to focus on what you love about your sound and style—if you love it, others will too! Want to write a ton of songs, get feedback, and win prizes? Join the 5 in 5 Song Challenge!